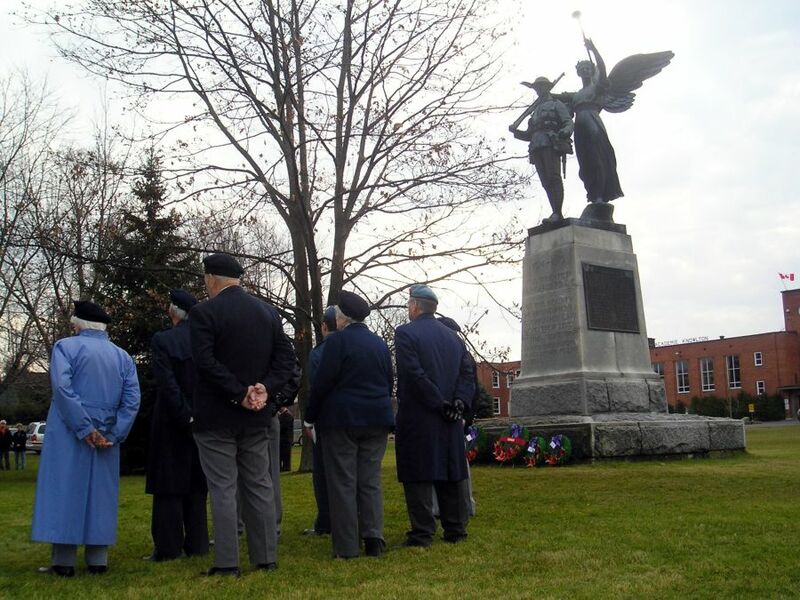 With Remembrance day only a few weeks away the theft of yet another commemorative plaque and the vandalism of a cemetery in Lac Brome have many people shaking their heads. Have people gone so far downhill that the brave veterans and the deceased have become targets? What a shame to see our values sink so low. Recently a bronze plaque honoring the names of fallen soldiers from the great wars where our fellow Canadian soldiers from the Knowlton area served was stolen by a someone or some people who have clearly not developed mentally past a steaming turd and considered it acceptable to deface an austere monument for a few dollars; some group of sickening retards who are engaged in the underground black market trade of metals. Lac Brome was shocked that the cenotaph was literally grave robbed by such a money grubbing brain dead group of criminals and the letters to the editor poured into the Brome County News and other local newspapers in the Townships as people practically cried at the heartless violation of this sacred monument. After such a violation the Town stood up ready to get tough with this creeps but now again there has been a similar robbery and with only one bronze plaque left in the park it is surely only a matter of time before some idiot and their gang of trouser-knapes crawl from beneath a rock to desecrate another proud monument! Now it appears the greedy bastards have struck again, this time robbing the bronze name plate listing the brave soldiers who fell in action right off the statue in front of Knowlton Academy on Victoria street in Lac Brome. After we thought the crime was over in our small town...it happens again...and we are literally wringing our hands in dismay and disgust! 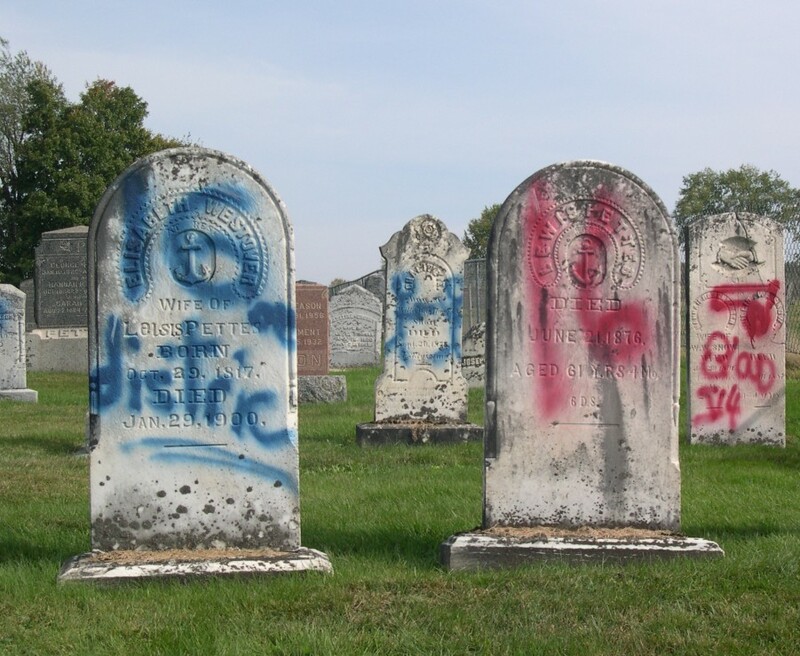 What's worse is that the cemetery was also vandalized and headstones were spray painted with graffiti. This is enough to turn any stomach sour with disgust! It's bad enough that grown adults are robbing commemorative plaques to make a few hundred dollars and add to that a bunch of kids running around at night desecrating burial grounds and you have to wonder if Knowlton hasn't turned the Harlem of the Eastern Townships! My heart is literally caught in my throat that someone has the heartless disregard for the brave mates who sacrificed their lives for our country. If these soldiers had known that they would sacrifice their lives for the money mongering snakes who would steal from their own brethren they surely would have chosen another path. As it is, to see such careless vandalism in our small town only a few weeks before Remeberance Day makes me want to elect someone who will get tough with criminals. To imagine that some group of morons can pull up in a residential area in front of the Knowlton Academy and tear off a heavy plaque off of a statue seems incredulous. The sad thing is is that while Mayor Wisdom expresses his outrage at the criminal robbery of the plaques and the vandalism of the graveyard there remains one heavy plaque sitting on the statue. Obviously this should be removed before it too is stolen by black market scrap metal dealers. Why is the last remaining veterans name plate still allowed to stay up when it is surely going to be stolen within two weeks! Why not take it down and protect it? If the Town is so outraged why not try and protect the last remaining original remnant? If that statue was in front of my house I would have installed one of those night vision motion detecting cameras and would have shot to death those pathetic buggers who think that our brave soldiers deserve such desecration! How many people are raised to think that robbery and selfish means are a manner of survival? We are too lenient on such offenders! If kids are running around at night with spray paint what kind of family environment are they being raised under? Isn't it time that Canadian society made better progress in raising the future generations so that morals of greed and disrespect do not become a permanent genetic disposition? Make your comments in the DK Forum!